Thanks, Sierra, for featuring me as November Author of the Month! Sierra is also hosting a book giveaway, so enter today! 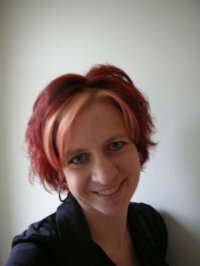 I would like to introduce to you my featured author of the month, Rachael Hanel. Author of “We’ll Be the Last Ones to Let You Down” , which I have reviewed here: “We’ll Be the Last Ones to Let You Down“! Check out my amazing interview with her! Rachael is a lifelong Minnesotan—she lives 25 miles from where she grew up. She has a bachelor’s degree in journalism and history, and a master’s degree in history. She has worked several jobs over the years—newspaper reporter and copy editor, freelance writer, adjunct professor (of English, history, humanities, and journalism) and university curriculum manager. She now teach mass media at Minnesota State University, Mankato. btw, I’ve been out taking pictures of cemeteries–so far nothing inspiring has happened with the pictures or the stories that have come from them, but, I am thinking about it.